After 5 years of staying out of power, the Bharatiya Janata Party is back in Karnataka in what was considered to be a key election as the country moves towards the crucial 2019 national elections. For the BJP, a victory in Karnataka was key to spread its roots in South India. While it initially seemed that BJP would cross the crucial half-way mark of 112 seats in the 224-member state assembly on its own, the final numbers are changing rapidly and media reports suggest that the Congress is making overtures to JD(S) to form an alliance. The Congress also announced that they will support JD(S) to form the government in the state. “We had a telephonic conversation with Deve Gowda ji & Kumaraswamy. They have accepted our offer. 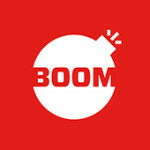 Hopefully, we will be together,” said senior Congress leader Ghulam Nabi Azad to reporters. The state electorate have also maintained their near 30-year old record of never returning an incumbent party back to power. The BJP has nearly doubled its vote share to 37 % (19 % in 2013) while the Congress has infact bettered its vote share at 38 % (36.59 % in 2013). 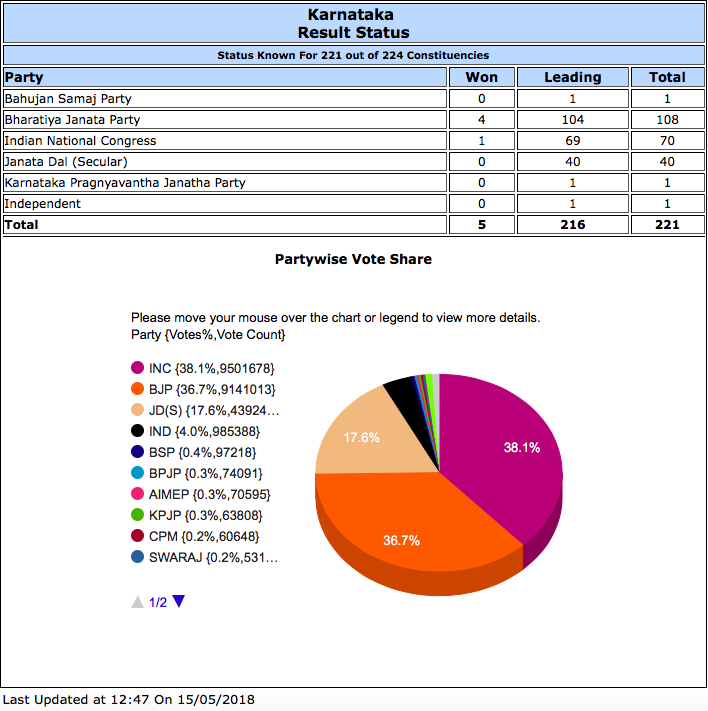 In 2013, Karnataka Janata Paksha(KJP), the breakaway faction of the BJP led by Yeddyurappa had cornered 9.79% of the vote share, widely believed to be a major cause of the party’s defeat. For the Congress, the disappointment goes much beyond losing their only major state in the country. Chief Minister Siddaramaiah lost the Chamundeshwari seat in hometown Mysuru against his main rival GT Deve Gowda of the JD(S) though he won the Badami Assembly constituency in north Karnataka with a margin of over 4000 votes. BJP’s chief ministerial candidate BS Yeddyurappa has won from Shikaripura defeating the Congress candidate Goni Malatesha by a margin of over 21,000 votes. The party’s deputy CM prospect is trailing against Siddaramaiah in Badami and leading in Molakalumuru in Chitradurga district of Central Karnataka. The Congress party’s pre-poll strategy of granting the Lingayat community minority status also came as a cropper with most analysts indicating that it did not result in a large migration of votes away from the BJP. This win for BJP in Karnataka is a special one as its previous regime under Yeddyurappa was marked with many firsts including the first ever CM in the state to serve jail time. Added to this were the corruption charges against Karunakar Reddy, Janardhan Reddy and Somashekhar Reddy or the Reddy brothers as they are infamously referred to in political corridors. But with Yeddyurappa and the Reddy brothers playing a crucial role in helping the party get back to power, the gamble of backing these leaders worked much more than was expected by political analysts. 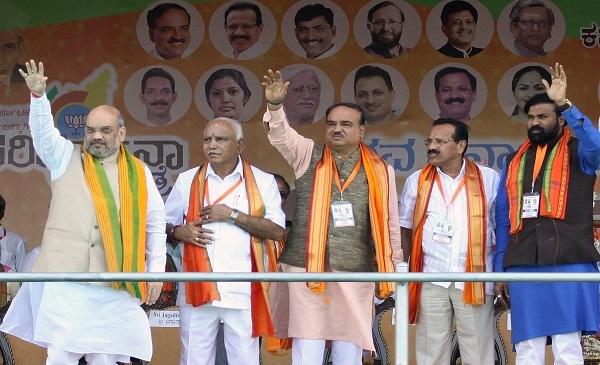 With the Karnataka elections considered a litmus test for the 2019 Lok Sabha elections, BJP brought had brought it its whole cavalry to fight the war against the incumbent Congress. From Prime Minister Narendra Modi, National president Amit Shah, Union ministers – Rajnath Singh, Prakash Javadekar, Smriti Irani, Nirmala Sitharaman and the new favourite of the party – Uttar Pradesh CM Yogi Adityanath. The leaders held rallies in various districts of the state and Adityanath even kicked off the 75-district Parivartan Yatra. Modi himself campaigned in various districts including Mangalore, Bangalore and Chitradurga and ended his campaign with 15 rallies in five days in the last week leading up to polling. From extensive social media campaigning that included nearly 23,000 WhatsApp groups across a diverse category of voters, door to door visits and even promises of farm loan waiver within 24 hours of coming to power — BJP pulled a no holds barred campaign in the Karnataka to achieve success. Will The BJP Stick With Yeddyurappa As CM? A staunch Rashtriya Swayamsevak Sangh (RSS) member, Yeddyurappa a three-time Chief Minister has a strong following from the Lingayat community. Hailing from Shikaripur in Shimoga district, the now 75-year-old in the 2008 Assembly elections marked the entry of BJP into South India by becoming the first ever BJP CM for Karnataka. This was after he held the post for brief period of seven days in 2007 when JDS and BJP buried their differences. According to experts, it was this stinging loss, that caused the Narendra Modi-led BJP to bring back Yeddyurappa to the power seat and name him not just the state party president but also the chief ministerial candidate. The party leaders stuck by him despite their unofficial rule of not letting members over the age of 75 to hold ministerial seats and that has borne fruit today as BJP won the 2018 Assembly elections. But with the BJP now winning a thumping majority on its own, all eyes are on the party if it sticks to Yeddyurappa or bring in a more non-controversial candidate as the chief minister. Editor’s Note: In our earlier version, we had said that the JD(S) is unlikely to play a role as BJP is likely to cross the majority mark on its own. We have updated the story.